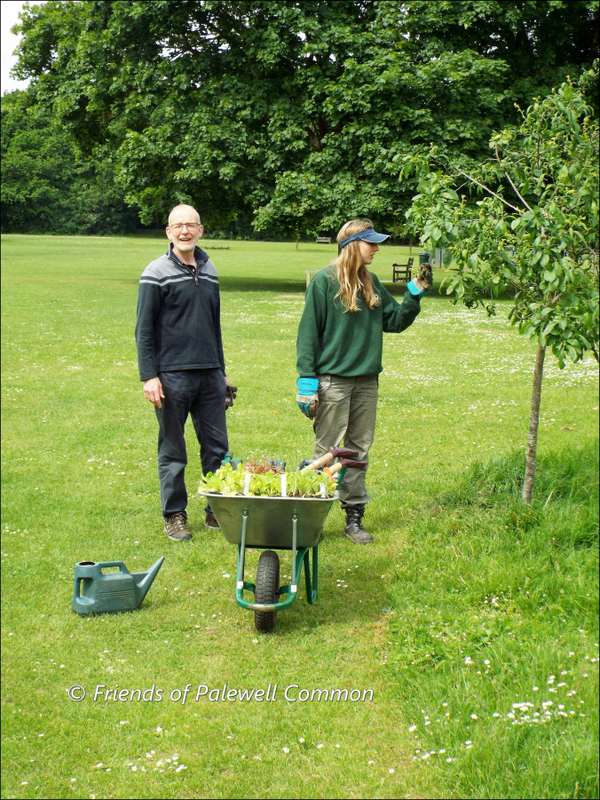 Today at 11am we headed down to Palewell Common to meet with Glendales Nature Gym to do some volunteering work, hoping to meet with a crowd eager to help! Perhaps a crowd was a bit optimistic. Apart from Glendale, sadly there were only three others present at the beginning including myself and those 3 in total were the Friends of Palewell Common Committee members. This did not deter anyone as plants and various planting instruments were brought out. The sun was shining and it was a fine day to be knelt amongst the long grass of the orchard to do some work. 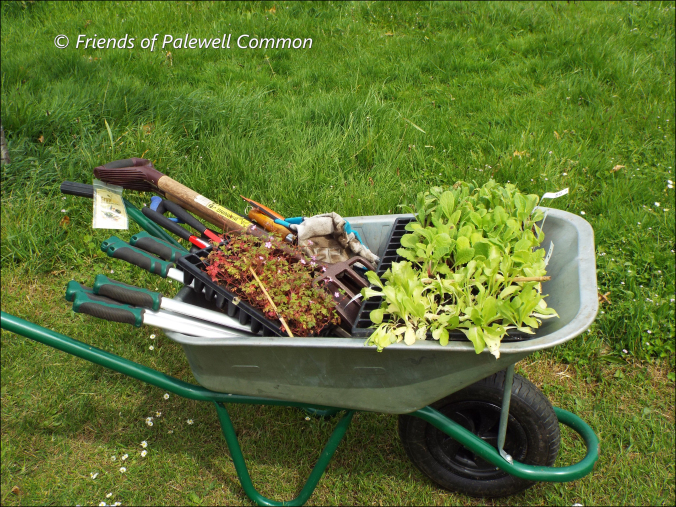 Glendales brought along chicory, primrose, borage herb, robert wild flower and poppies to plant, the latter courtesy of David, Chairman of the Friends of Palewell Common which he had picked up from this years Chelsea Flower Show. It sounds like you had a very entertaining and relaxing day.